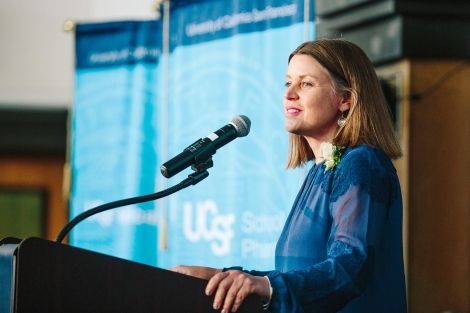 Shannon Weber, HIVE Director accepts the UCSF Chancellor Award for Public Service at the 2018 Founders Day Awards Luncheon. Photo from UCSF. 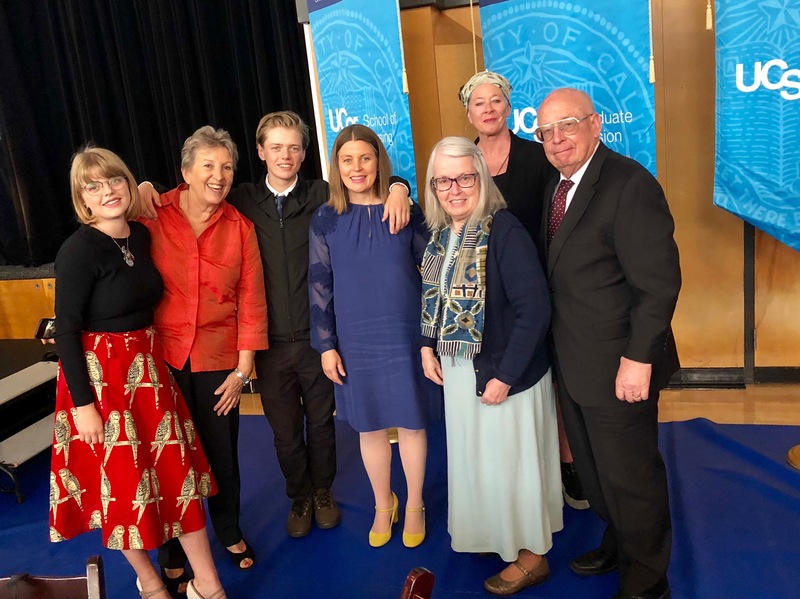 On May 11, 2018, UC San Francisco (UCSF) awarded HIVE’S Director, Shannon Weber, with the 2018 Chancellor Award for Public Service. The award honors members of the University who have performed outstanding service to the community and those who have gone above and beyond in their work to improve UCSF. Shannon was the staff recipient, along with the faculty recipient Valerie Yerger and student recipient Kristin Cosner. It is my distinct pleasure to nominate Shannon Weber for the 2018 Chancellor’s Award for Public Service. I cannot think of a more deserving individual who meets the award criteria. Dr. Deborah Cohan also added her nomination letter that shed light on the many facets of this extraordinary woman. I would like to point out that most of the service examples outlined in this nomination took place before Shannon was promoted to HIVE and Director, PleasePrEPMe.org, which acknowledged her leadership in the University, in our community and in the State. Shannon has been a compassionate and poignant servant to people living with and at risk for HIV/AIDS – working steadfastly on HIV prevention, care and treatment projects. She has worked with the California State Office of AIDS ( CA SOA) to found and expand a state-wide directory of more than 300 PrEP (Pre-exposure Prophylaxis) providers in the state, and has gone beyond the original scope of work and funding for this project to verify all the providers on the PleasePrEPMe website, which can be found at: (https://www.pleaseprepme.org/find-a-provider). Her innovations draw resources and recognition as well. Shannon has formed a collaboration of funders and stakeholders, including SOA, to develop the PleasePrEPme.org website. Launched on a shoestring budget, this first in the nation on-line service aims to link people in California who are seeking PrEP with registered PrEP providers. The launch itself showed the paucity of registered PrEP providers across the state—with many providers in large urban areas (Los Angeles and San Francisco) and few if any providers in key affected regions including the Central Valley, Santa Clara, and Monterey and Orange Counties. This work caught the attention of policy makers and has been recognized with funding from the California State Office of AIDS to fund an expansion of the website with new, innovative services. It currently lists more than 300 verified PrEP providers. Building on the success of the CA website, she found funding to expand the online directory to encompass the whole US. But what is most extraordinary about Shannon’s commitment is that after realizing the power of these online resources, and without any additional funding, Shannon enrolled her daughter to help her identify PrEP providers around the world in order to build an international online PrEP provider directory (https://www.pleaseprepme.global/prepme-map/). Together they have volunteered their time, commitment, creative, and financial resources to create and expand this worldwide resource. Shannon has also linked this work to her UCSF work at HIVE (https://www.hiveonline.org/), a hub of positive reproductive health. 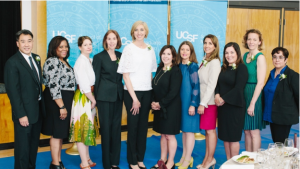 HIVE is the evolution of the UCSF Bay Area Perinatal AIDS Center (or BAPAC). Again, in her work with HIVE, Shannon continues to go above and beyond her call of duty in the area of HIV PrEP. As outlined below, her UCSF work has been focused primarily on women with HIV and more broadly on reproductive health. However, she is a leader in recognizing the reproductive desires of heterosexual men living with HIV, and instituted a unique, cutting edge program at SFGH (PRO Men) to address their needs. When pre-exposure prophylaxis (PrEP) in the form of a daily pill was proven to be effective in preventing HIV, Shannon became an early proponent and emerged as a national leader on the issue of PrEP for both women and men—and she continues to lead innovation in this arena. Again, this work started as an idea steeped in the desire to help make it easy for people interested in taking PrEP to find a willing PrEP provider because of her belief and commitment to an empowered community who deserve access to sexual and reproductive health services. But, in addition to her HIV volunteer work, she is consistently going above and beyond the call of duty to form a global community of…love. What started as a “self-serve love note system” for her kids became something very personal for Shannon. She then started posting i love you too notes around San Francisco and then it evolved into a website. LoveYou2.org was launched as a blog in November 2010. By summer, 2012, it became formalized with stencil art and fence signs. That evolved into note pads and live pop-up love note writing experiences. At some point, LoveYou2.org became this hub for the exchange of love in its many forms; a place to practice, to be inspired, to share, a place to get love when you need some and give love when you have it. She has given a TED Talk (“Get love, give love”) and has a LoveYou2 Mini Documentary. Every year, Shannon has orchestrated The Leap of Love public display of affection…in time for Valentine’s Day. The public has been invited to write love notes in a San Francisco art gallery, pick up inspirational love note kits and customizable signs of love. At the end of the month, the love from the gallery goes to the streets—with public displays of affection all over town. Shannon Weber served as the Director of the National Perinatal HIV Hotline, a free 24/7, expert consultation service based in UCSF’s Department of Family and Community Medicine. In this role, she managed the essential operations for providing direct access to experts for questions on HIV and pregnancy. She developed and continues to coordinate the comprehensive 280+ participant strong Perinatal HIV Clinicians Network rapidly linking pregnant women living with HIV, their exposed infants and HIV sero-different couples to appropriate care. She facilitates the ReproIDHIV listserv, a forum for clinicians, researchers and community-based organizations that serves as a highly-successful mechanism to disseminate clinical protocols and educational materials and mobilize advocacy efforts related to HIV treatment and prevention for women. She also directed the Bay Area Perinatal AIDS Center (BAPAC), the San Francisco General Hospital (SFGH) program providing care to pregnant women living with HIV and HIV-affected couples, which has now transitioned to HIVE. 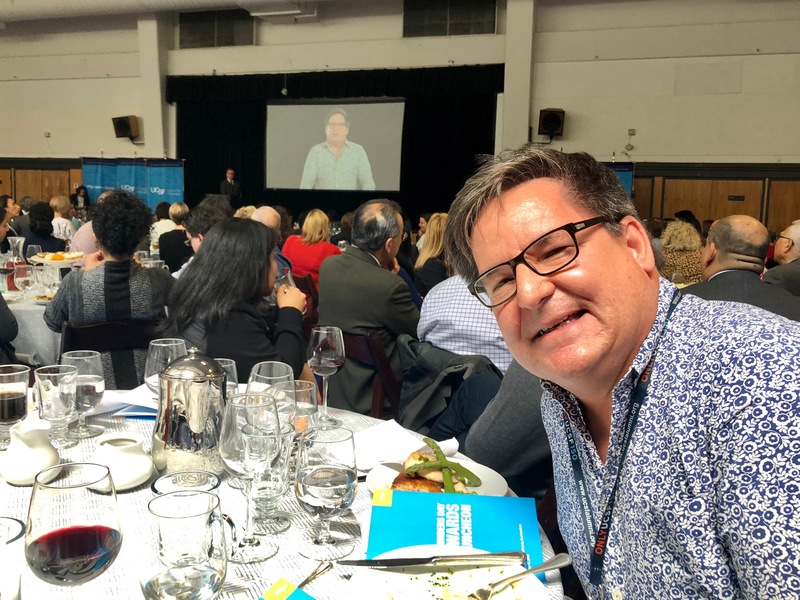 Shannon launched the PRO Men (Positive Reproductive Outcomes for HIV+ Men) initiative, an innovative collaboration between BAPAC and SFGH’s Ward 86 HIV Clinic to integrate men’s reproductive and sexual health services into an HIV care setting. Shannon is a workgroup member for the CDC’s One Test. Two Lives. initiative and serves on the CDC’s Elimination of Mother-to-Child HIV Transmission in the U.S. stakeholders group as well as on the Expert Panel on Preconception Care for HIV-positive women. Shannon led efforts in northern California from 2005 – 2010 to implement rapid HIV testing in labor and delivery settings for women with no previous documented HIV test, as one vital tool in preventing mother-to-child transmission of HIV. When PrEP to prevent HIV transmission was proven to be highly effective, Shannon took on that issue with her heart and soul. She led the effort at HIVE to incorporate PrEP into the reproductive options for sero-different couples seeking to become pregnant. At the moment, Shannon is very involved with the San Francisco Department of Public Health’s commitment to virtually eliminating new HIV transmissions via its Getting to Zero program, as a leader in PrEP access and implementation. One of Shannon’s latest innovations for PleasePrEPMe.org is, to offer on-line PrEP navigation via live chat and phone access in both Spanish and English, as a means to expand access to PrEP, especially for those people most at risk for HIV, including young gay and bisexual men and transgender women of color. Shannon’s cutting edge work has caught the imagination of experts at the CDC, and she is now funded to expand PleasePrEPMe.org nationally to include PrEP providers in other states in a searchable database. As the world develops more and better tools to eliminate the HIV epidemic with no new infections, Shannon will be in the forefront with her creativity and passion to bring those tools to the front lines. My experience with Shannon has been as a champion for inclusion and sensitivity when it comes to transgender women at risk for or living with HIV. Her thoughtful and creative leadership has led to efforts such as her highly celebrated “love notes” which she implements at community focused events and her practice of recognizing others for their efforts by “caping” them at public meetings. It is not just the act of recognition at these venues; she captures the essence of the experience, then posts and blogs about it to create an online community of women working towards common cause. She has been instrumental in furthering the “We are all women” campaign to foster acceptance and inclusion of all women in PrEP trials and campaigns. Always sensitive to the needs of women at risk, she goes out of her way, without financial incentive, to identify and champion approaches for inclusion. It is my honor and privilege to count on her as a friend, colleague and mentor. We believe that the body of work, volunteerism, community outreach, commitment, dedication and alliance building makes Shannon Weber worthy of this prestigious award. Dr. Deb Cohan, a Clinical Professor in OB/GYN at SFGH, joins me in enthusiastically nominating Shannon Weber for the Chancellor’s Award for Public Serve. Want to join Shannon on her journey to change the world one love note at a time? Visit www.loveyou2.org. Join us in congratulating Shannon and each of the award winners! We salute your service to this community. The 2018 Founders Day Award winners (from left): Michael Chen; Valerie Yerger, MA, ND; R. Sarah Elmes; Elizabeth Robbins, MD; Leeane Jensen, MPH; Heather Nichols; Shannon Weber, MSW; Kristin Cosner, RN, BSN; Bernadette Jimenez; Sylvie Baudart RN, BSN, MS, CCRN; and Georgina Lopez. Photo by Sonya Yruel. Friend and family of Shannon Weber (from left): Taft Weber-Kilpack, Pippa Wiley, Noah Kilpack, Shannon Weber, Gayle Weber, Pete Weber, Sandra Hesla. Photo from Shannon Weber. Dr. Michael Reyes, Shannon’s co-nominator, at the luncheon. Photo from Shannon Weber.